Cold stores are a vital part of the logistics chain, yet their harsh conditions place materials handling equipment under extreme pressure. To ensure high productivity and timely deliveries, customised solutions are needed to prepare the equipment for temperature-controlled environments. Here are 6 Yale solutions that help ensure high performance in low temperatures. Keeping operators warm and comfortable keeps the logistics chain moving. 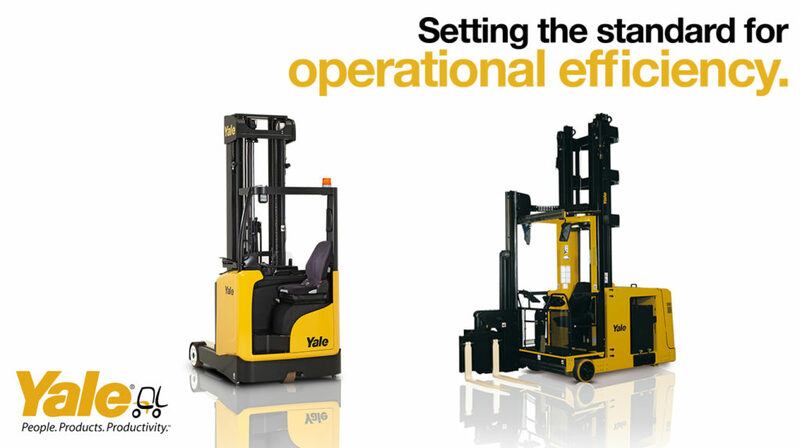 Features such as enclosed heated cabins with double glazing and double skin insulation are offered on Yale MR Series reach trucks and Very Narrow Aisle (VNA) trucks. Even with temperatures as low as -30°C, Yale cabins can provide a comfortable and warm workspace. With a 2kW heater integrated into the cab door, three small grid heaters to the mast side of the cab and five heat settings, the fully insulated cabs can maintain an interior temperature of 20°C. suspension seat reduces whole body vibration. Freezing temperatures can have a particularly adverse effect on moving parts. 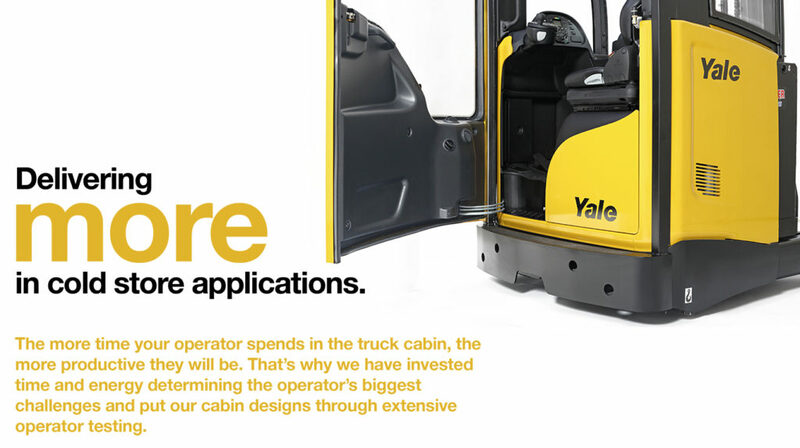 To counteract this, Yale has perfected hydraulic lubrication that withstands temperatures down to -30°C without compromising truck performance. In normal working environments, operators can expect to access 80% of their equipment’s lead acid battery’s capacity. However, in cold store conditions, this can drop to as little as 65%, requiring more frequent charging throughout the duration of a shift. Yale provides in-aisle charging, so the battery does not have to be removed or the truck transported to a charging station mid-shift. The chances of issues occurring are highest when the truck first emerges from the freezer environment. Condensation will form, with water tracking down wiring looms to electrical connections. Upon re-entry to the cold storage area, this water freezes and expands, causing damage to components and connectors. To help prevent water infiltration, double sealed electrical connectors can be fitted to trucks operating in cold store environments, ensuring connectors and components are able to withstand the transition between temperatures. With cold storage particularly pertinent to the food industry, resistance to corrosion and the avoidance of paint chipping are key. 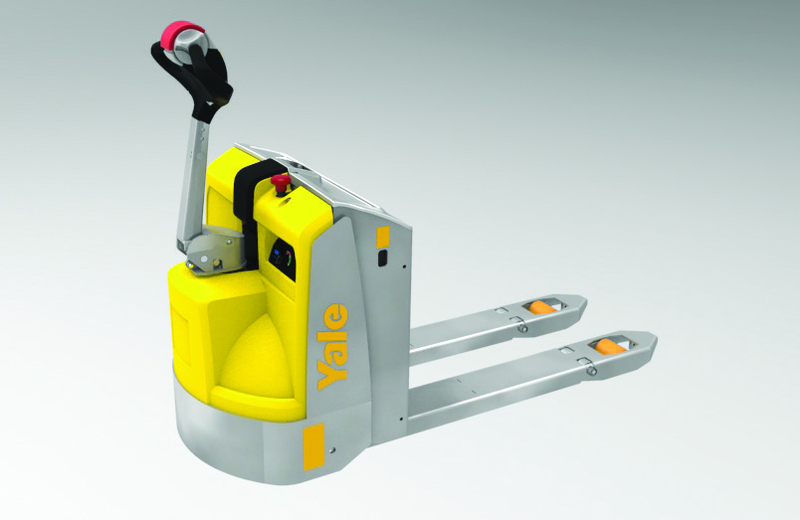 To help machine endurance, the frame, tie rods, lever knob and battery cover on Yale MP Series pedestrian low lift pallet trucks can all be hot zinc coated, providing higher resistance to corrosion and paint chipping on cold environments. 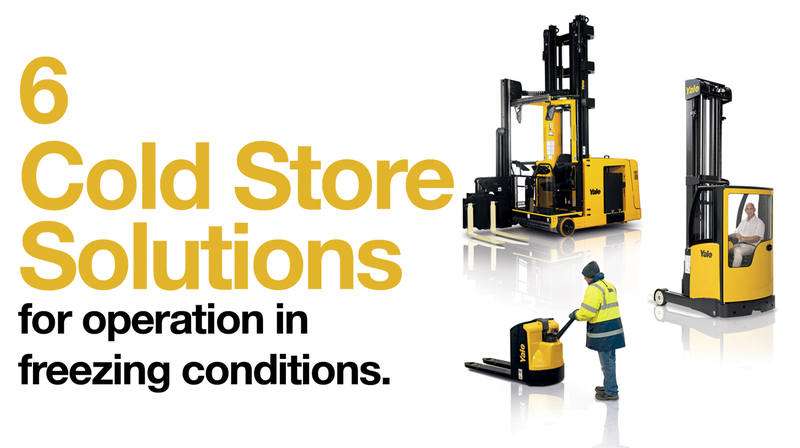 Contact your local Yale dealer for more information on cold store solutions from Yale. This entry was posted in Batteries and Chargers, Counterbalance, Design Process, Electric, Ergonomics, Food Sector, Innovation, Pallet Stackers, Pallet Trucks, Platform Pallet Truck, Reach Truck, Reach Trucks, Warehousing and Distribution and tagged Cold Stores, logistics solutions, Low Temperature, Yale, Yale Europe Materials Handling. Bookmark the permalink.